As you’ve probably guessed, here at PopUp Painting we are all about trying new experiences and exploring this beautiful city we live in. 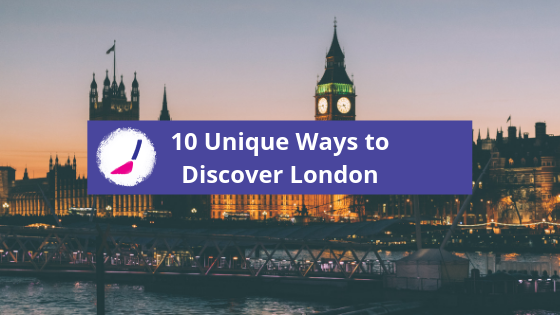 We didn’t want to recommend the obvious, so read on if you really want a unique London experience. 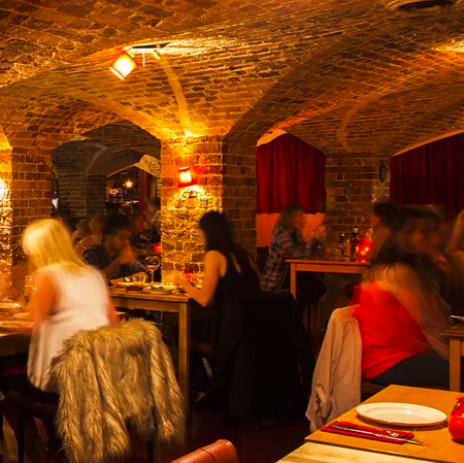 In the heart of busy Brixton, you can escape the crowds and sneak away to enjoy delicious Spanish Tapas in the eerie, yet beautiful, Crypt of St. Matthews Church better known as Gremio de Brixton. Most the light in the restaurant is from candles, which makes it a beautiful and atmospheric environment to enjoy your meal. If tapas isn’t to your liking, you can grab a drink in the bar, which which is open until 3am on Friday and Saturday. Tucked away in leafy South East London, the Horniman Museum is a Pandora’s box of Victorian oddities. The Museum, which was opened in 1890 by tea-trader Frederick John Horniman is a collection of objects exploring natural history and artefacts from around the world that were acquired during his travels. 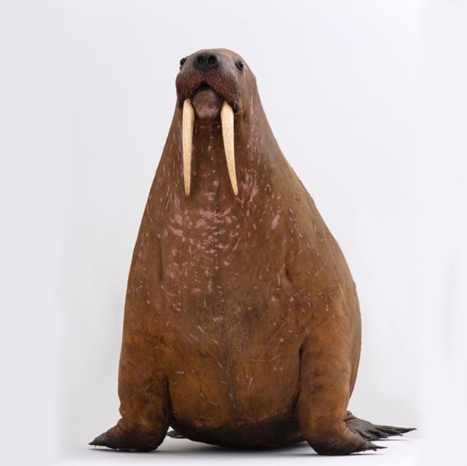 The highlight of the museum is certainly the Walrus, which is grossly overstuffed as the Victorian taxidermist had never seen the creature before. 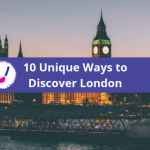 The Horniman Museum is also placed in beautiful gardens which has breathtaking views of London, so well worth bringing a picnic on a sunny day. It’s hard to say exactly which is the oldest pub in London, but the oldest riverside pub is certainly The Prospect of Whitby in Wapping, East London. The pub dates back to 1520 and was popular with smugglers and sailors. 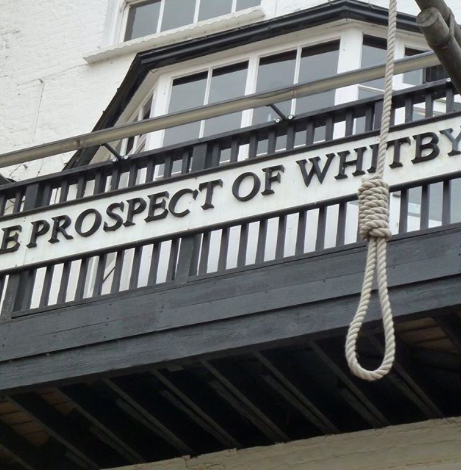 Along with the beautiful architecture, view of the Thames and beer garden, there are some grim historic elements, such as the gallows and nooses that hang off the balcony, where pirates were hung after being found guilty after standing trial. Round to Rita’s Camp Karaoke is one night where you can sing your heart out to some absolute belters from your favourite musicals to party classics. 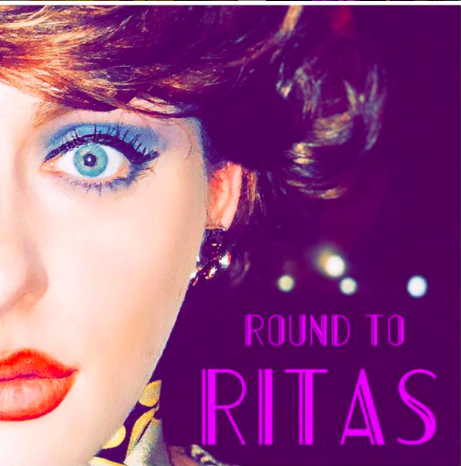 Round to Rita’s is half karaoke – half immersive theatre. They often pop up at various quirky Little Nan’s Bars across London, so keep your eye out for future dates. 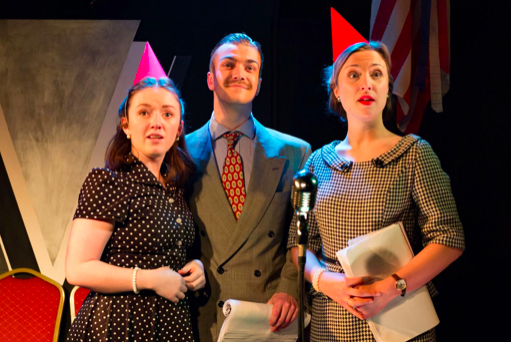 There are a few pubs across London that have a secret theatre hidden upstairs. One of our favourite’s is the Bridge House Theatre inside the Penge Bridge House. In this charming venue there are tons of productions scheduled throughout the year from comedy nights to alternative Christmas plays. Some of London’s most unusual and spectacular architecture can be found in the cemeteries dotted around the city. During the early nineteenth century London’s growth in population naturally meant a growth in death which in turn caused a lack of space for burials. The solution for this was to open cemeteries in what was then considered the Countryside. 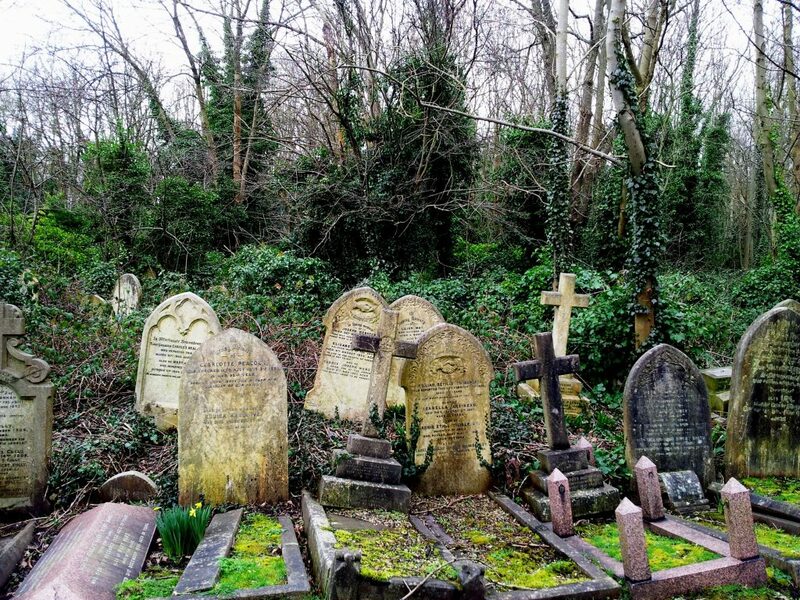 Argueably, one of the most amazing cemetries is Highgate in North London, which is split into the East Cemetery and West Cemetery. The East, visitors are welcome to visit freely and is home to the grave of Karl Marx, the West can only be visited through a tour. Both sites are filled with incredible sculptures, buildings and nature. You can easily lose a few hours just wandering the extensive grounds. The rise of Bottomless Brunches in the city in the last few years has transformed the way many Londoners socialise. Late nights in the club, have been switched for mid morning mimosa’s. These brunches comes in many shapes and forms; some have themes, others are more sosphicated. One of our favourites, is Bunga Bunga‘s Italian themed bunches. There have branched out from their original venue in Battersea and now have a huge space in Covent Garden. Some of their brunches have immersive theatre, others have karaoke and pretty much all of them, contain Prosecco. 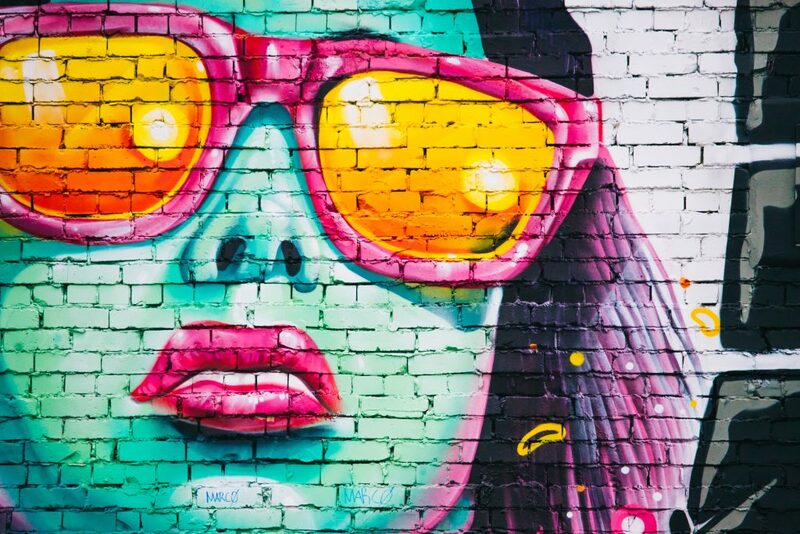 There are tons of organised Street Art tours especially in East London. However, sometimes it nice to do this at your own pace, so you can spend longer looking at any pieces that really speak to you and so you can stop off for a coffee whenever you fancy. The Stage have devised an interactive map that cover’s all the Street Art in Shoreditch, including some galleries. To see see the map, click here and enjoy! Exhibition private views tend to happen on Thursday Nights in London, this generally is the opening night of a show. 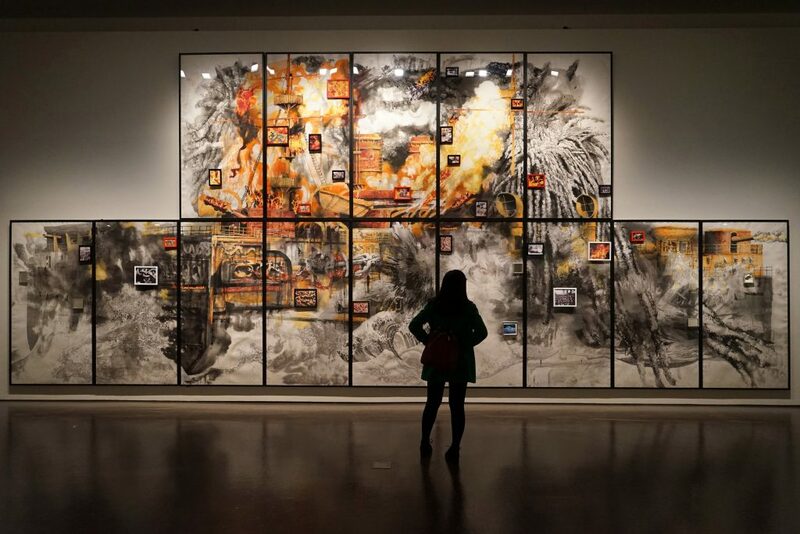 This is a great opportunity to see a brand new exhibitions in the city and often get to meet the exhibiting artist. 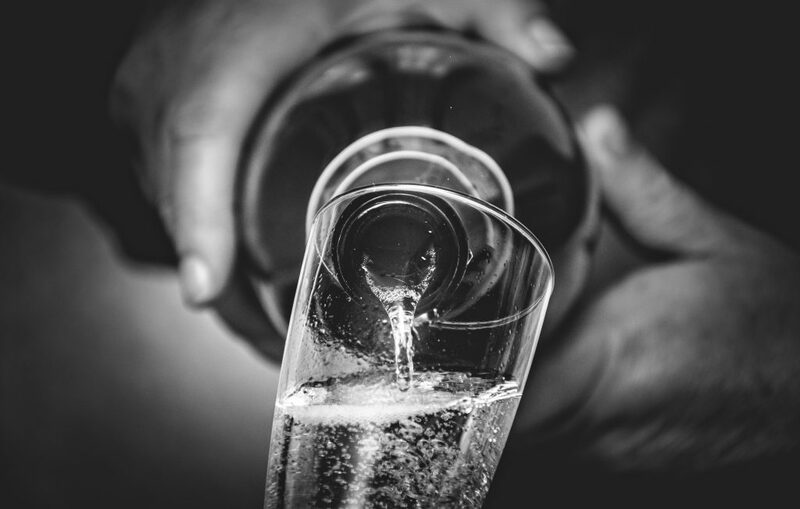 These evenings will be very different depending on which venue you go to – some will be very formal with champagne being served and smart clothes are expected to be worn, many others are less formal. Cork Street, W1S is filled with galleries and often host many private views one just a single evening – just remember to check in advance what is on and whether it is invite only, or you can find upcoming events via Art Rabbit. 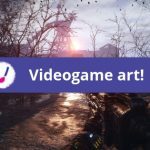 Yes, try your hand at painting – no matter your ability. PopUp Painting‘s ethos is to take art out of the gallery and classrooms and into the places where ordinary people meet; bars and restaurants. The nights are themed by the painting with music and drinks. 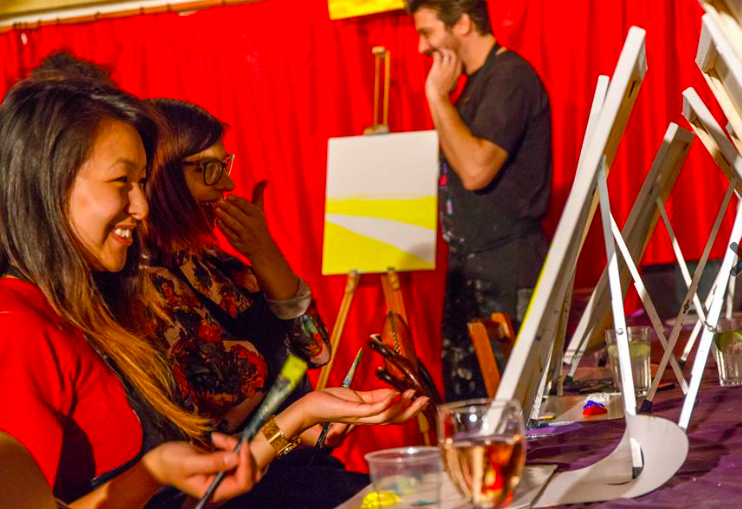 Enjoy a completely different night out, paint brush in one hand, wine glass in the other.